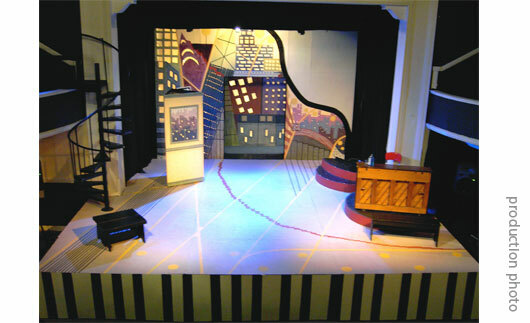 Merrily We Roll Along - Set Designer. The Longwood Players, Cambridge MA. Worked within minimal budget for materials, furniture and props. 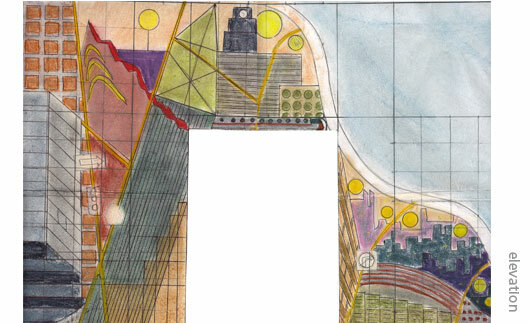 The complex innards of a piano, the protagonist's vocation, have been converted into a cityscape to represent the dreams of this young artist and his friends to become famous musicians. It is these innocent dreams that persist throughout their story despite the hardships and realities of growing up.